If you're a woman who finds herself physically and romantically attracted to other women, then lesbian dating is going to be a significant part of your life as you search for your romantic match. Become familiar with the lesbian dating community and find the woman of your dreams. Local community centers are a terrific place to meet lots of new people. Many sponsor dances, service projects and other events that can turn out to be great mixers. Even if you don't meet anyone here who strikes your fancy, you're bound to make some new friends which should help you expand your horizons. Newspapers and local magazines are a veritable treasure trove of resources. These publications nearly always have a personals section where you can find contact info and short bios on others looking for lesbian dating relationships. Bios can help you narrow the dating field to people who might enjoy the same hobbies that you do, or who share some other mutual interests which can increase your chances for compatibility in the long run. Publications will also feature articles on the best night spots, restaurants and other hang outs with a fun and open atmosphere. The Internet is full of dating websites that will help you target your ideal mate, not just by gender or sexual preference, but on many other levels including religion, hobbies, personality types, etc. Try sites like Pink Cupid, a site for lesbians only. 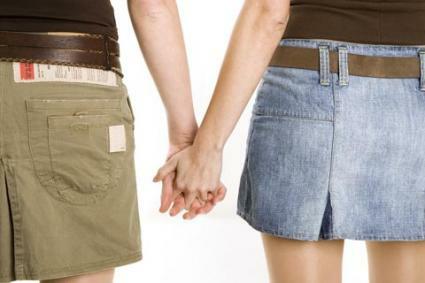 LesbianMatch is an online lesbian dating website. Sometimes meeting Mrs. Right happens through networking. Try social networking sites like Facebook or MySpace to build your online presence. Meet and make new friends everyday for free. GayFriendFinder.com, the leading personals network for gays and lesbians, is another option. Join an active singles club that brings singles together regularly. Spend a day kayaking with a new friend on the river. A day of volleyball or a clambake at the beach make fun backdrops for a singles club for lesbians. Join a club that offers its members plenty of activities. These fun mixers make it easier to meet new people. First, know yourself, your interests, and your goals. Second, take the time to figure out what you really want from your lesbian dating relationship. Third, keep safety in mind. Be careful when meeting people for the first time. Make sure friends or family know you're going on a date with someone new, and where you plan to be. If you take these tips to heart, you should be able to find not just dates, but someone you can share your life with. Be as succinct as possible determining what you want in a date.